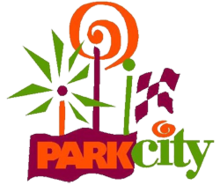 Park City BMX is a Non-Profit Organization, ran by volunteers that host weekly USA BMX sanctioned races and practices. Annually Park City BMX will host race participants from 3 YRS to 73 YRS old. Both boys and girls young and old continue to enjoy the Olympic Sport of BMX Racing. The individualized sport of BMX is a great character builder and helps develope strong interpersonal skills that last a life time. You'll meet some of the best people through BMX, you'll quickly develope a whole new group of friends and family through BMX. Our race season starts early spring and runs through the Thanksgiving Holiday. The track is open to the public for riding as long as we're not having a sanctioned practice or race. The only other times the track is closed is when it's wet, muddy, or we have equipment on the track for maintenance.